Steel roller coasters have been the anchor points for innovation in the industry. 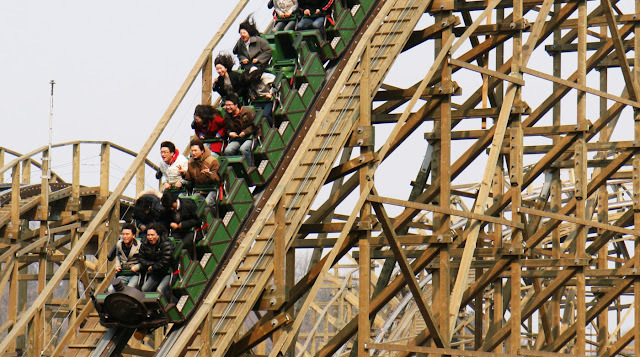 However, wooden coasters have taken the spotlights more than ever before since the start of the 21st century. Wooden coasters offer ride experience and sensation that are arguably more extreme than those of steel coasters: rough, wild, out-of-control, oddly-but-pleasantly painful. If you look at my current Top 10 Roller Coasters list, 3 of them are in fact wooden coasters from recent years. But it's not just your typical, traditional wooden coasters. 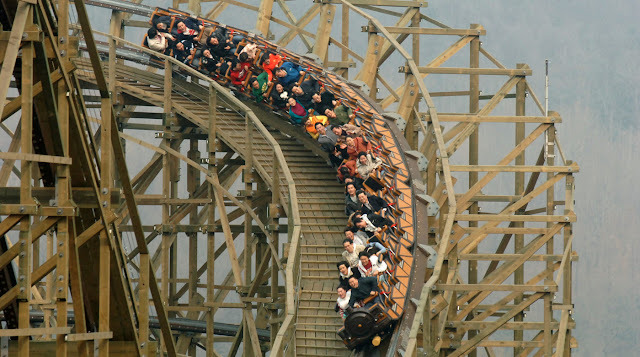 In recent years, the eyes have been mostly set on the topper track and ibox track solutions by Rocky Mountain Construction, whose creations have attained praises from both coaster critics and enthusiasts worldwide as they allow wooden coasters to go through elements that are previously unimaginable on wooden roller coasters, e.g. inversions, sharp changes, and many more. 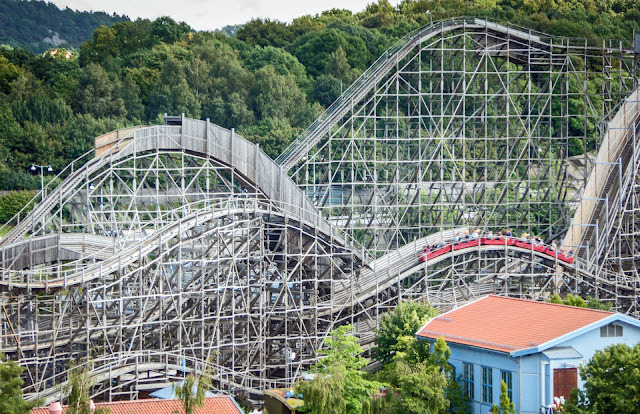 In 2016, I had the privilege of reviewing Wildfire at Kolmården in Sweden and was impressed by the out-of-control, out-of-this-world sensation that I had never felt before on a wooden coaster. 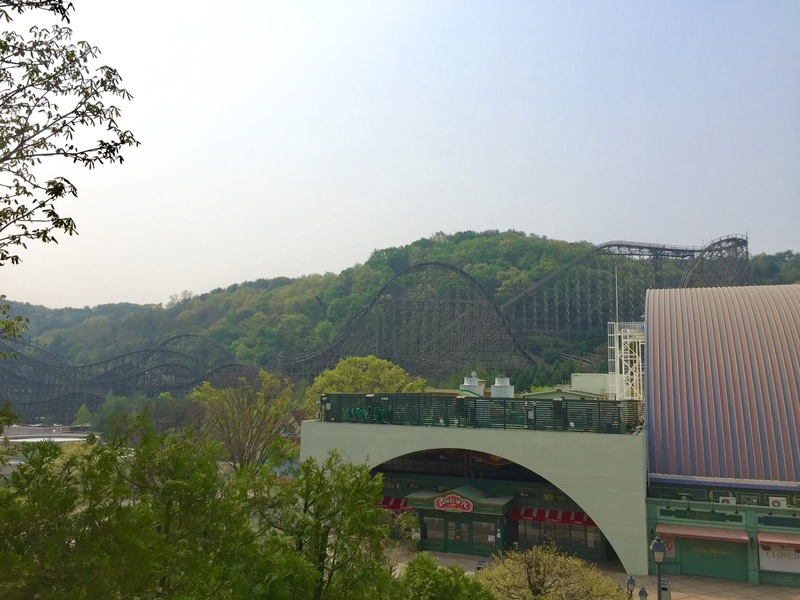 T Express' massive layout dominates the hills surrounding the back portion of Everland. Take a look at my Top 10 Roller Coasters list from 2016 again and see the coasters at the 2nd and 7th positions. What do they have in common? 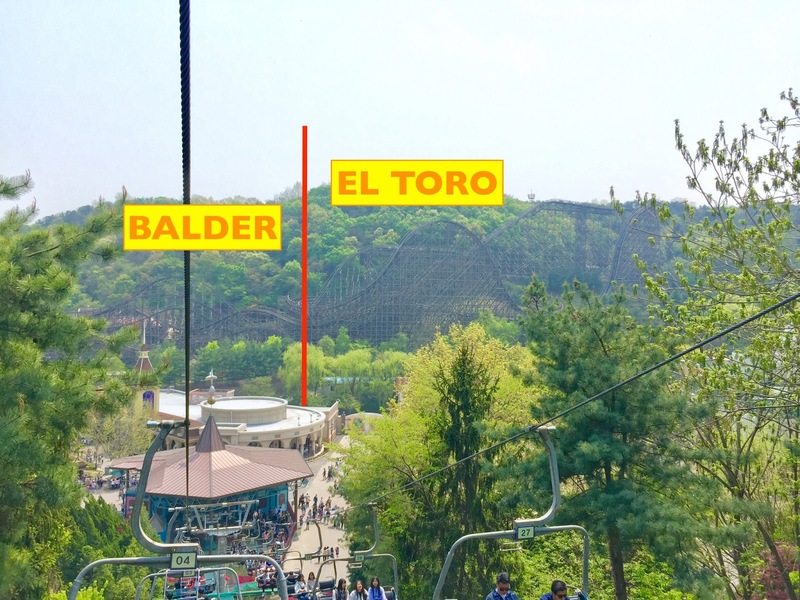 While El Toro at Six Flags Great Adventure and Balder at Liseberg share little in common in terms of experience, they're in fact manufactured by the same company, Intamin, using the same prefabrication technology. 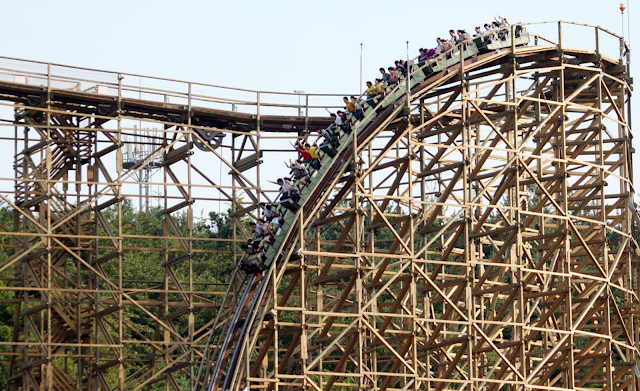 Instead of being constructed on-site directly, these wooden coasters were manufactured in Intamin's factory using the principles of steel coasters. All elements are cut using laser, allowing each of them to be constructed as specific as possible down to each micrometer. 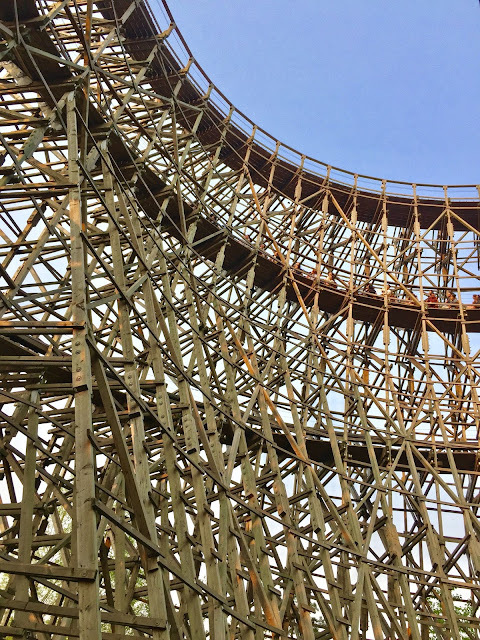 Because of this, not only these wooden coasters can offer more extreme scale for its kind, but also a much, MUCH, smoother ride experience. El Toro at Six Flags Great Adventure is the inspiration behind T Express' first drop and first airtime ejector hill. Balder's overall layout is the model for T Express' second part, which focuses on airtime instead of big drops. 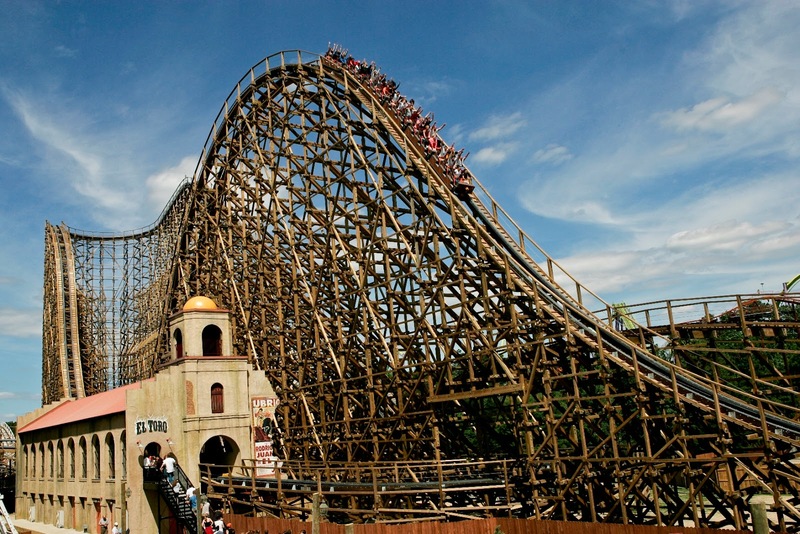 El Toro is widely known for its airtime ejector moments, which literally throw its riders out of its seats. Balder is popular for its multiple airtime hills, which are not as extreme as those of El Toro but it happens more than 10 times. Each of these is loved by coaster enthusiasts worldwide for offering sensation that are unique on their own. These two coasters frequently position themselves in the leaderboards for world's best wooden roller coasters such as this and this. Many fans have often dreamed about combining these 2 coasters together for the "perfect package" of both massive drops and hefty airtime. In 2008, a relatively local theme park in South Korea opened a roller coaster that catapulted itself to international level; a wooden coaster that fulfilled the dreams of many enthusiasts worldwide. That roller coaster is none other than T Express, which I can now officially call MY FAVOURITE ROLLER COASTER I've ever been on. Hanging on tight: T Express is popular amongst visitors for its hefty airtime hills and smooth ride experience. Can't wait to experience T Express? Watch the POV video right away here. T Express opened in 2008 to much fanfare by coaster enthusiasts worldwide. 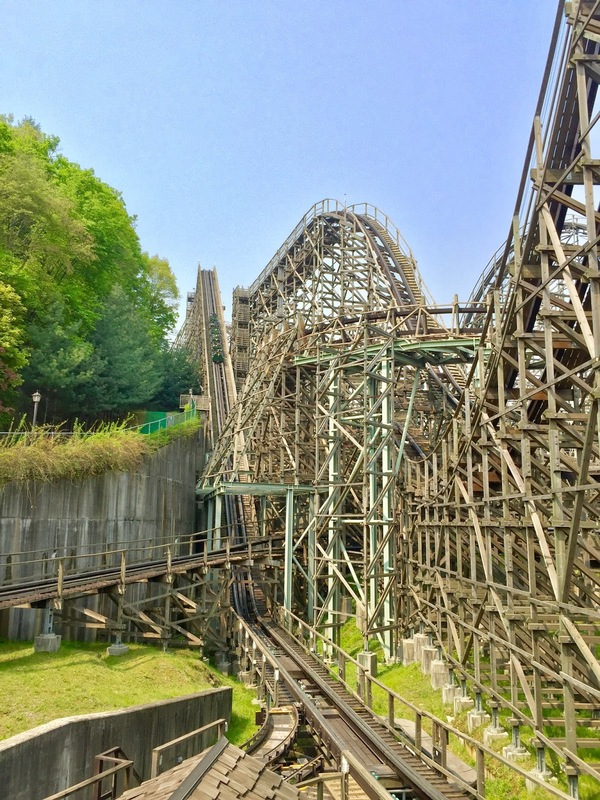 It literally married 2 of the world's best wooden roller coasters by combining them into a super combo of beautifully terrain-ed scream machine. The 1st portion of the roller coaster mimics the massive first drop and ejector airtime hill of El Toro while the 2nd part copies Balder's famous out-and-back layout filled with smaller but intense airtime hills. Guests are often left in awe the first time they see T Express thanks to its beautiful location. 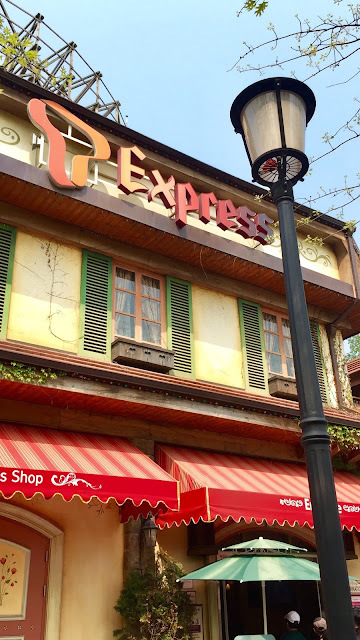 Commercially speaking for Everland, the theme park in which the roller coaster is located in, T Express catapulted the relatively local theme park to the international stage. The opening of the roller coaster immediately allowed the park to pass 6 million figure for the first time in terms of annual attendance. Additionally, T Express managed to do one thing that the park failed to do before: attract teenagers and couples demographics who would have otherwise visited other parks that offer more thrill rides. T Express, despite being one single roller coaster, managed to beat that out. 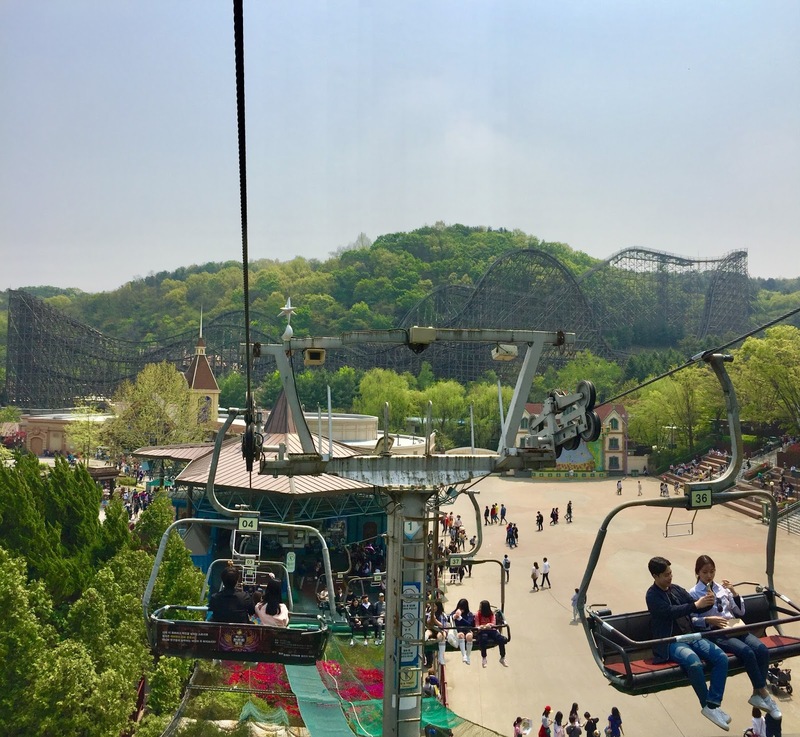 Today, Everland enjoys more than 7.5 million visitors a year. T Express is popular amongst teenagers and college students. 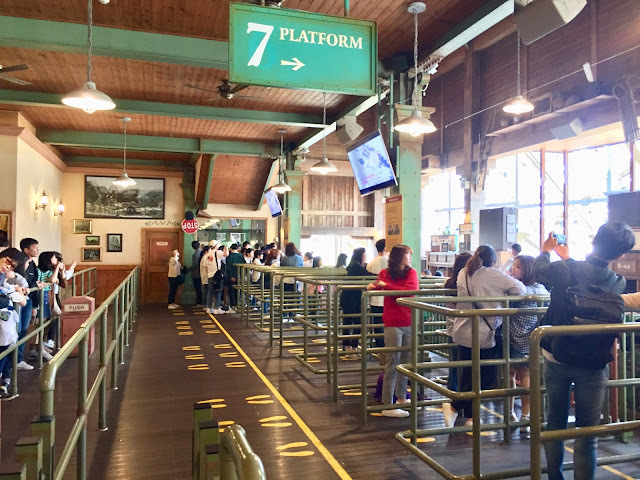 Both demographics help the coaster to attain a wait time north of 60 minutes before the roller coaster even opens each morning. T Express showcases its first hill dead straight without hesitance after the train rolls out of the station. T Express begins with relatively tame roll out of the station. At this point, riders are being shown dead straight the massive hill that they're about to climb. The train then begins its ascend 183.8 feet up with a lift hill that starts slowly... but once the train is fully ascending, the life hill suddenly accelerates, pulling riders up at a speed of around 10-12 miles an hour (which, for a lift hill, is very fast). Thanks to Intamin's signature cable lift hill technology, T Express' trains can reach the top of the hill in just under 15 seconds. The slow roll-down before T Express' first drop proves to be too much for some. T Express' roll-down before the first drop is one of my favourite moments on this coaster. At this point, the first drop is on full showcase. From here, riders can appreciate (or decry) the steepness and sheer size of the main drop. 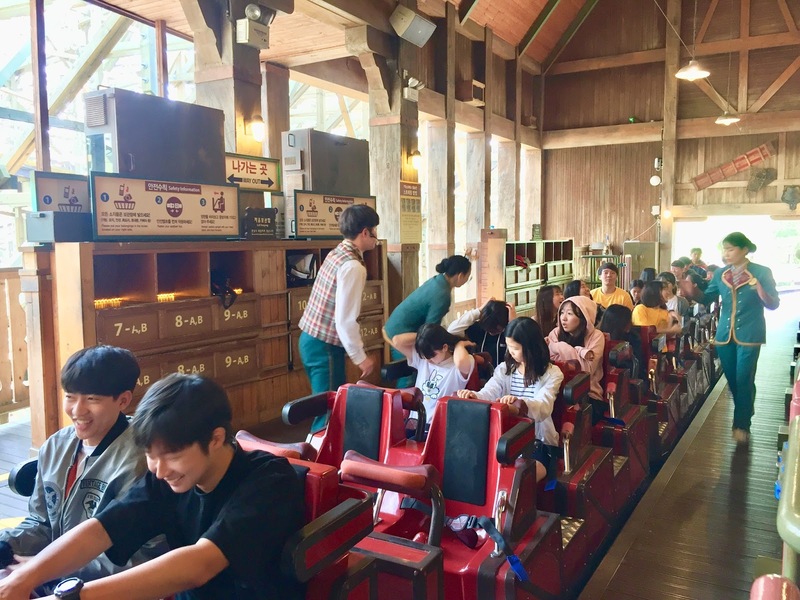 By this time, riders will acknowledge right away those who are dragged to ride the coaster instead of wanting to do so by themselves. One by one, these riders start to scream in horror, shut their eyes, and cry out their (last) prayers to their mothers and fathers. I'm serious about that last point, btw. Those 10 seconds at the top also provide you with majestic and magnificent view of Everland and the nature site surrounding the park... but seriously, no one got time to be awed by that when the FIRST DROP is right in front of you. Note the massive height difference between T Express' first drop and airtime hill, which produces massive ejector force. The 77-degree, 16-stories high first drop then follows the roll-down. This is one hell of a first drop, literally lifting you out of your seats unexpectedly, similar to that of El Toro. If you sit at the very back, this is going to be the one of the most jarring first drops of your life. As the train picks up real speed, you'd still be positioned at the top of the first drop. The last car will literally pull you down with such brute force. As such, last car is not recommended for those who are afraid of roller coasters. The train then moves on to the first airtime hill of the coaster and this is where riders start to feel how intense this coaster is. Note that this exact hill is taller than the first drop of many wooden coasters out there and T Express goes through it at such high speed, perhaps in the vicinity of 30-40 mph. This is one hell of an airtime ejector hill. Everyone, from first to last row, literally flings out of the seats. Hairs go up straight away. Those wearing hoodies have their hoods fly up uncontrollably. The coaster then follows it up with an out-of-control figure eight turn at even faster speed before going up a hill and entering the midway block brakes where guests can take a moment to take their breaths. El Toro's and Balder's influences on T Express are visible based on how the coaster is shaped. Before the riders can get their sanity back, the train accelerates down once again and enters the second portion of the roller coaster. This is the moment when T Express enters the out-and-back layout filled with tons of airtime hills. 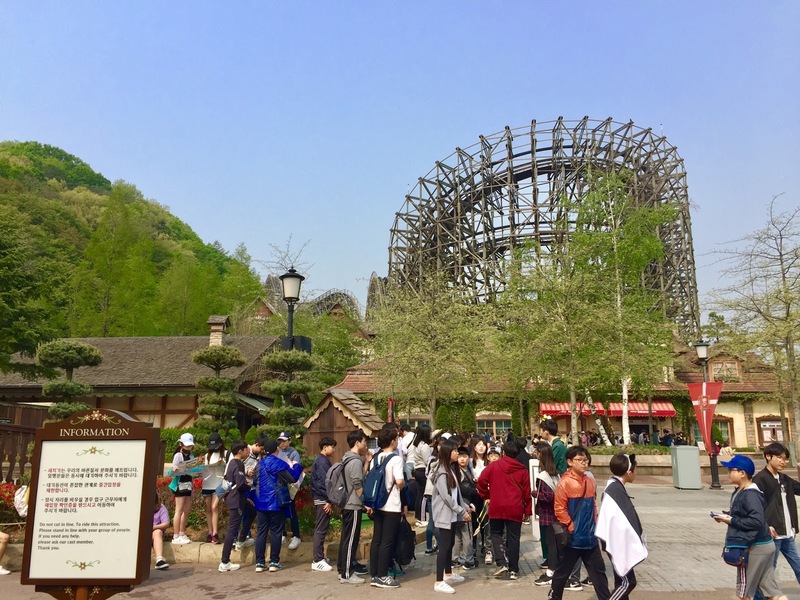 At this portion of the park, the coaster's intense-scary nature is being turned into intense-fun as the coaster flings its riders out of their seats again and again and again... for more than 10 times. But it's nowhere as intense as the first portion of the coaster. Riders having the time of their lives on T Express' second portion. At this point, even those who cry at the top of the first hill before the main drop start to laugh and lift their hands up. The more airtime hills they go through, the more they realise of how fun this coaster actually is despite the fact that the airtime remains strong and forceful. I have never, in my life, experienced a roller coaster than can turn a "denouncer" into "fans" like T Express. Following the second portion, the train hits a long straight track before finally hitting the final brakes. This part makes me realise of how much speed the coaster has sustained throughout the course. If the coaster were to have another major drop, T Express would have easily climbed the hill with such sheer force that can fling the riders out once again. Wood upon wood upon wood: three levels of excitement on T Express' second portion. I'm not quite sure what really draws me to T Express very strongly. The airtime is not as sensational as El Toro, not as forceful as Skyrush, and definitely not as graying-out intense as Intimidator 305. But before I knew it, I went on the roller coaster 4 times in one day, despite the coaster having a wait time of 90 minutes at one point. I definitely love that first portion of the coaster. The magnificent view at the top, the slow roll-down after the lift hill, the intense first drop, and that amazing airtime ejector hill that follows. It was truly a perfect giant roller coaster experience that is crafted perfectly to showcase how intense a coaster can be, despite not being the tallest and fastest coaster to exist. The figure-eight turn afterwards before the midway block brakes is also a very nice touch to show the sheer force this coaster exerts. The second part is the true highlight of the roller coaster. For me, however, the true highlight of this coaster is the 2nd part, which is where the riders start to show how much fun they're having on this coaster - from children of primary school to dating couples, to seniors that are literally dragged by their sons and daughters and an entire family who are holding for their dear lives to the lap bars. With close to an entire kilometre of track dedicated to these airtime hills, riders end up anticipating more and more airtime as they go through the course. Riders waiting for their turns to ride T Express. You can literally listen to the riders having fun with it with anticipation like, "Okay, here comes another one. Ready? Ready? YAAAA!" as they lift their hands up in the air. This is what I feel T Express does very well: turn pure terror completely into pure joy. It's not everyday you ride a roller coaster that does this in one single course, but T Express does that with such an effortless run. T Express is without doubt the most popular ride at the park, attaining queue time north of 60 minutes throughout the day. Want to have the wildest experience possible on T Express? Then I recommend you riding the roller coaster at the very last row (or at least on one of the rows in the very last car) AND right before it closes down. Thanks to its location being at the back corner of the park and surrounded by natural hills, there are very minimal lightings to guide your way throughout the roller coaster. As such, the experience will be in almost complete darkness. Add to the fact that the last row offers the wildest ride (your butts will leave the seats almost entirely throughout the coaster), you're in for one of the wildest, most memorable coaster experience you can imagine. T Express' surrounding is magnificently beautiful, especially in autumn. As of today, I have been on 382 roller coasters across 19 countries. It has been 3 years since I declared Intimidator 305 at Kings Dominion as my favourite roller coaster. To finally have the chance to ride this roller coaster was a pure joy for me not only because T Express is one hell of a good coaster, but also because I finally found my new favourite roller coaster on this planet. A roller coaster can aim to be intense, to be family-friendly, or to be simply enjoyable. But never have I ever experienced a roller coaster that can turn pure terror into pure joy in one single course. T Express does just that to everyone, from children on their first roller coasters to the elderly who want to check their bucket lists. T Express offers both intense and enjoyable experience for everyone, and that makes everyone happy. And isn't that the point of a roller coaster to begin with? 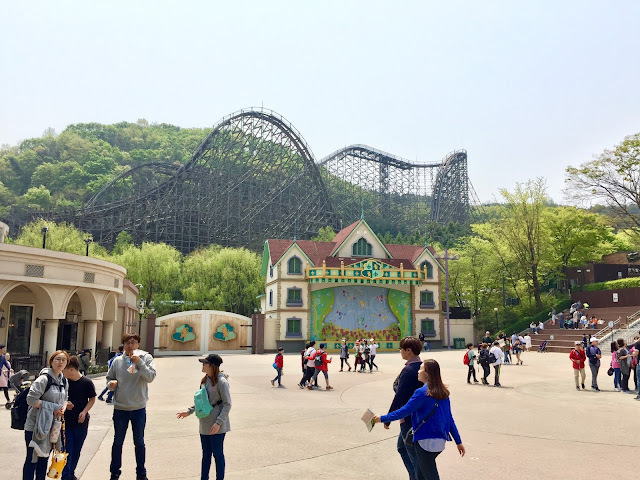 South Korea should be proud for having a roller coaster that is regarded so highly by the theme park and roller coaster enthusiasts communities worldwide. T Express is, without doubt, my newest favourite roller coaster. 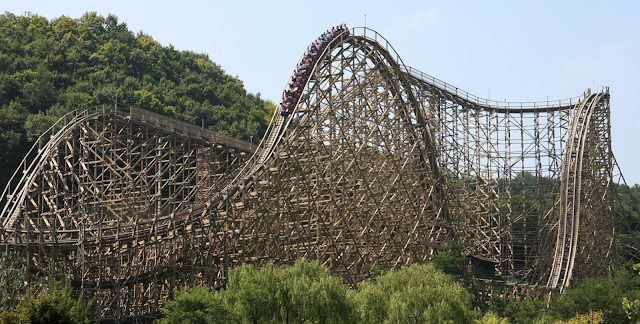 Interestingly enough, this is the type of wooden coaster that is currently being looked down upon by the industry. Colossos, which was the prototype for this model, has apparently aged so badly the park needs to re-track everything from start to end. Would be interesting to see what'd happen to T Express in the future. Regardless, nice review as always. Love your honest opinion and passion, man! Ah yes, someone else told me about that. Thankfully I got to experience it and it actually operated with 3 trains that day. I guess we just need to see what would happen to the other 2, Balder and El Toro.